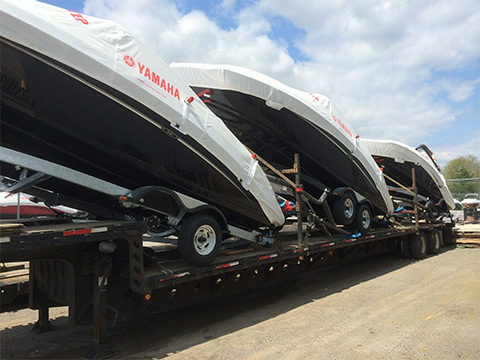 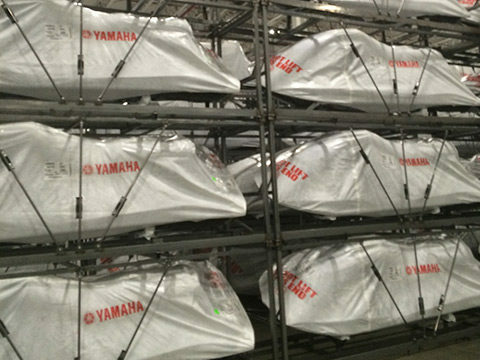 Our shipping covers were specifically designed to accommodate OEM and dealers’ requests to transport and store finished product in the yard while being able to show the boat periodically. 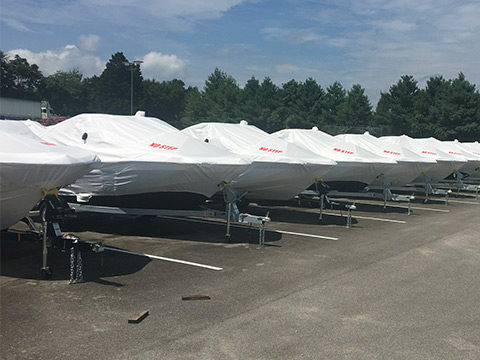 This ‘lean’ initiative allows covers to be installed quickly by one or two people and can be removed and reinstalled without compromise. 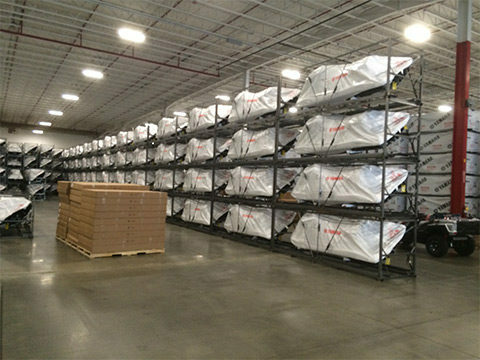 It is very versatile for long-haul highway transportation and can be given to the consumer as a temporary winter storage cover. 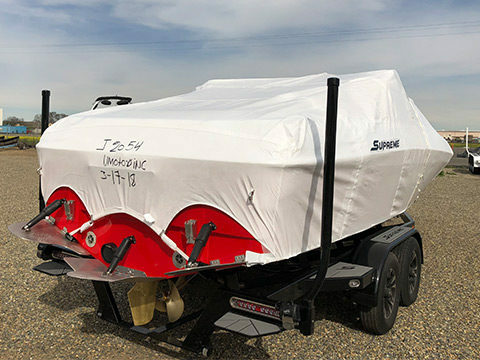 Patented Vacu-Hold® Strapless Trailering System that eliminates billowing and buffeting and conforms to the shape of the boat.